Russian president Vladimir Putin intends to blackmail the West with a nuclear weapon. So says Russian policy expert Andrey Piontkovsky. He reasons that if the “little green men” and Russian troops turn up in Estonia, for example, Vladimir Putin would warn NATO not to intervene because that would be a Russian World affair and he’d threaten to use nuclear weapons if the Alliance took military action against him. “Imagine you’re one of the Western leaders. They’ve heard this statement and start to think – yes, according to Article 5 of the [NATO] Agreement we are duty bound to defend Estonia, however who’d think of doing something as insane as that? We are after all responsible for the lives of our own people.. This is a possible scenario as Mr. Piontkovsky noted in an interview with a Pasaulio Panorama journalist. Mr. Piontkovsky firmly believes that the only way of thwarting a scenario like that is to do whatever it takes to beat the concept of the Russian World in Ukraine. 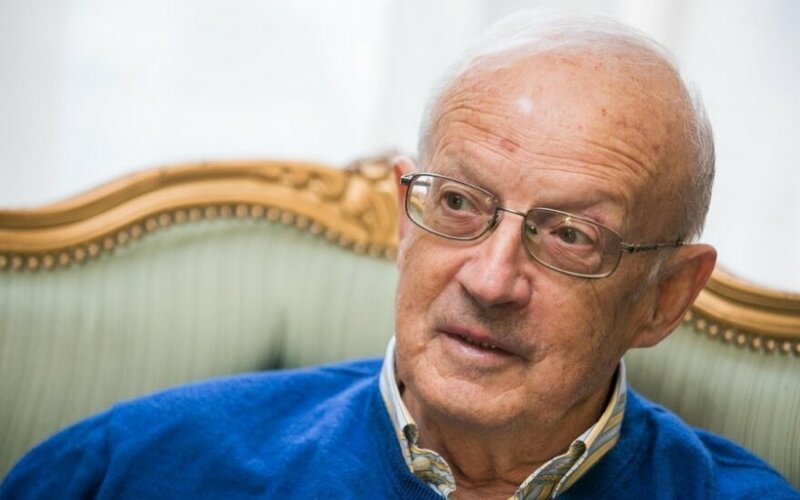 In the interview Mr. Piontkovsky also said that the current situation is very much like that of the last months Stalin was alive. He explained though that Mr. Putin will nevertheless not get involved in a big war in Ukraine. You said that around 30 percent of the people living in eastern Ukraine support the concept of the Russian World yet how many people in Narva would support it? After the events around the Bronze Soldier, Estonian president Toomas Ilves went to Narva and stated “you are Russians but our Russians”. That however would mean nothing if the “little green men” made an appearance. It’s not Russian will that supports the concept of the Russian World. That means nothing to Vladimir Putin. He’s preparing to be president for life. No dictator, not even Adolf Hitler or Joseph Stalin could maintain their power solely on force. Some myth was necessary to rule the greater part of society. In Germany it was the myth that the Germans are a superior nation, in the Soviet Union it was the myth of communism. For him to remain president even as he violates all the laws and the constitution and so as not to share the fate of Hosni Mubarak or Muammar Gaddafi, Mr. Putin has to expound some myth that will be accepted by a large part of the society. The media has made him popular especially when it’s putting him in your face 24 hours a day. Like many historians, I’ve also wondered how Adolf Hitler managed to overpower the conscience of the Germans, an educated and cultured nation. I now know how; Hitler did it simply by ruling and repeating the same concepts over and over again. There was no television then. I myself find it difficult. Sometimes, just to understand what it is they are intending to do for a few hours I watch some program hosted by Dimitri Kiselev or Vladimir Soloviev. But I then start to feel that I’m turning into a zombie. And the nationalist propaganda is more effective than the communist propaganda. We as people who lived in the Soviet Union and who can make that comparison can say that. Communist propaganda is abstract. It speaks of a happy future. Nationalist propaganda however relies essentially on basic instinct. We Russians have a special genetic code they say. All Western businessmen think about is getting rich, where as we are extremely spiritual. One of the proponents copied Joseph Goebbels’s propaganda, saying even that the Russians are an Arian race that came down from the Carpathian Mountains and spread all over, right up to Fort Ross in California. So there’s an intimation about the Russian World which isn’t in Narva or the Baltic States only, but also in California. Vladimir Putin needs this ideology not only to expand territory but also to secure power. People aren’t saying that Mr. Putin settled into the Kremlin to steal tens of billions. No, he’s sitting there to set the concept of the Russian World into motion. Russia it seems is convinced that the war won’t touch it. The Russian World can be spread calmly without the sounds of explosions being heard or dead bodies being seen. And yet as many as 200 bodies have been brought back from Ukraine. Yes, hundreds of soldiers’ bodies. The Committee of Soldiers’ Mothers of Russia published a page on the Internet where information about those killed is being gathered. In cities like Pskov and Ryazan where paratroopers were recently stationed, soldiers have been buried in mass graves. Propaganda can’t hush that up and talk started of volunteers who had been killed, people who went there of their own accord. Mr. Putin even lit candles in church for those who had perished for “Novorissiya”. You see, it’s one thing sitting on the sofa, drinking beer and hearing that you have a wonderful genetic code. It’s another thing you going off to fight or sending your son there. It’s interesting to view the carnage as if it were a football match. Yet nobody in Russia has the fanaticism to the extent of sending tens of thousands of so-called volunteers. They’re all mercenaries that the military commissariat is sending. In Russia of course life has less value than it has in the West but it still does have value. At the end of the day it’s a war with Ukraine. Although Ukrainians are called Banderites and facists they are close to the Russian nation. The war with Chechnya was a war with another culture. And it’s here that Mr. Putin will not get sucked into a big war. About 10,000 Russian troops were sent to the Donetsk and Luhansk regions in order to maintain those two so-called people’s republics. And the fact that “Novorossiya” extends up to Odessa means that up to 100,000 Russian troops would be needed, and not conscripts but professionals. The Russian public will not approve of that. Especially now that sanctions are starting to take their toll on the economy. You’ve spoken even of nuclear weapons. Is that a real threat to the West or just sabre rattling on the part of Vladimir Putin to get what he wants? You see, it’s about taking the concept of the Russian World seriously. And we must take it seriously if it’s already installed in the Crimea and Eastern Ukraine, and if a few weeks ago it allows itself to announce the unsettling news to Kazakhstan that that nation never had a state. Vladimir Zhirinovsky and others then straightaway start repeating it. Mr. Zhirinovsky exists for the simple reason that he says what Mr. Putin still shies away from saying openly. Latvia and Estonia which have sizable Russian minorities are just waiting to be accused of violating their rights. Mr. Putin’s propaganda is clearly saying that the war isn’t being waged with Ukraine, it’s being waged with the United States in Ukraine. The Russian World is at war with the Anglo-Saxons. From an economic point of view the Russian World lags significantly behind the Anglo-Saxon World so we’d win an economic war. When it comes to conventional weapons NATO and America have the overwhelming advantage in terms of military might. What’s left? There’s nuclear weapons and the Americans have those too. After the Caribbean Crisis when the world was on the brink of a nuclear war neither the American president nor the General Secretary of the Soviet Union wanted a nuclear war and it went without saying that in a war like that they would have annihilated each other. That however is just one scenario. Even in the 1980s the United States’ strategy pondered what’s called a deterrent war where an enemy’s city or military facility was destroyed. There’s North Korea which in all likelihood does not have a nuclear bomb but rather a bucket of nuclear waste. It’s very effective however in using that bucket to achieve its political aims. Then there’s Vladimir Putin who has the second largest nuclear arsenal in the world. So it’s not chess that he’s planning to play but poker. He intends to blackmail the West. A classic scenario would be the “little green men” appearing in Narva. Russia attacks Estonia. In accordance with Article five of the NATO Agreement, all NATO countries would have to rush to Estonia’s aid. And Mr. Putin announces – it’s our Russian affair, a part of our Russian World, we will explain to and ask the Estonian government not to interfere. If the North Atlantic Alliance attacks Russian troops we reserve the right to use nuclear weapons. That’s how we’ll clarify it. Either by a tactical nuclear hit against NATO troops or demonstrative hit against a Western European city. Imagine you’re one of the Western leaders. They’ve heard this statement and start to think – yes, according to Article 5 of the [NATO] Agreement we are duty bound to defend Estonia, however who’d think of doing something as insane as that? We are after all responsible for the lives of our own people”. Should the standard Second World War question to stop Hitler or not be debated? Die you want to die for what was Danzig? Clearly not, to hell with Danzig. And do you want to die for Narva? That’s the question that will come up in the capital cities of Europe and in the United States. We don’t know how the leaders of the West will react and so the best thing to do is to avoid a situation which would require choosing between war with a nuclear power or betraying NATO allies with capitulation. And avoiding that we can do only by doing whatever it takes so that the concept of the Russian World loses in Ukraine which would stand up for its independence and choice of Europe. What needs to happen in the Kremlin for followers there to understand that this tsar needs to go? That’s a very good question. You most likely know Russia’s history and that regimes like this one don’t go away as a result of an election. Even if tomorrow the concept of the Russian World were to lose its popularity, Mr. Putin wouldn’t go away because of an election. That’s because there are no elections in the country. The closest situation it seems in what we are seeing today are the last months of Stalin’s life. Then he really went mad and prepared in earnest for the Third World War. Most Russian historians think that his own circle led by head of security Lavrenti Beria got rid of him. These regimes are very much alike. There’s the leader and about 30 to 50 people close to him. In our case it’s the big oligarchs and bureaucrats. It is in fact one and the same thing. Any high bureaucrat is an oligarch and they’re all very rich, they’re billionaires. And even now they aren’t very content. Due to the sanctions their capital is falling and their lives are changing. Did they steal their millions to holiday in the Crimea? No, rather to sail around the world in their yachts and go to the best resorts; so they could have mansions, servants, children, wives, lovers and all of that. And they’re not all happy. They’re starting to think, and even express their discontent. Take the article “Don’t allow a second Afghanistan” by political expert Karagan who serves the palace. It’s as if he is addressing Mr. Putin: Dear Vladimir Vladimirovich, you have carried out a great campaign, you have retuned the Crimea, Russian historical territory, you need another victory – disrupt America’s plans to usurp us and Ukraine and create a second Afghanistan there. This is a form of expression of discontent. And Vladimir Putin realizes that there’s no way he’ll win a big war. He’s taking the blackmail route and that proves that he is behaving incompetently. For two weeks he threatened to take Kiev and two days later be in Warsaw, the capitals of the Baltic States or Bucharest. Talk about the non-existence of the state of Kazakhstan has infuriated Nursultan Nazarbaev and he has China at the back of him and which would never allow expansion of the concept of the Russian World in Kazakhstan. Finally there’s the arrest of Vladimir Yevtushenkov, a man extremely loyal to the Kremlin, one who financed many of its projects and who never had political ambitions like Mikhail Khodorkovsky. That scares the fifty people in Mr. Putin’s circle because it shows that he is unpredictable and because of that he is dangerous, even to them themselves.